Conor McGregor is now so rich and famous that he doesn’t have to roll out of bed before two o’clock on any hot August afternoon in Las Vegas. 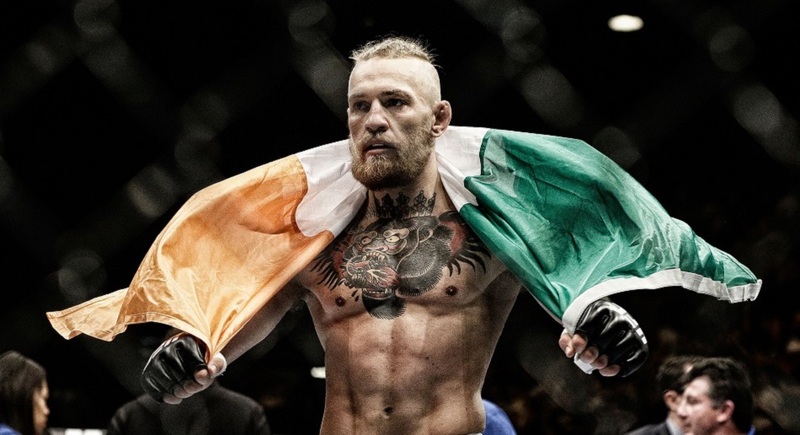 This past weekend, laced with heavy spending and partying, a 3pm Sunday interview was far too early for the Irish fighter and new sensation of UFC, the booming business of mixed martial arts. McGregor could only be roused at four after he had celebrated his girlfriend’s birthday on Saturday in a style which suits the lavishly-bearded, sharp-suited, big-talking world champion. A 90-minute wait for McGregor is not that surprising, especially from a media phenomenon who calls himself ‘The Notorious’ and was barely known outside his old Dublin neighbourhood of Crumlin two-and-a-half years ago. McGregor once worked as a trainee plumber. Now he is such a huge star that 70,000 people applied for tickets to attend his press conference in Dublin this year.